Branch Talk - The Kafafian Group, Inc. So went an informative branch research report put out by my old friend and excellent bank stock analyst, Matt Schultheis of Boenning & Scattergood. At lunch recently, he said that the battle for retail deposits has already been won. Won by the national banks. It is a very similar point I made in an article to soon appear in a trade publication. With all of our hubris about how great community banking is compared to national banks, we are not winning market share from them. Point 1: Pricing is becoming more transparent and I believe it will be increasingly difficult for banks to maintain deposit betas of 12 to 25, as [the research report] demonstrated in Exhibit 2. It is much easier now to switch from a local bank money market account to a Goldman Sachs Marcus account than last year, and it will be even easier next year. That is why I suggest banks build a cost of funds advantage by 1) having a relatively higher proportion of non-interest bearing checking, and 2) a relatively higher proportion of “store of value” accounts like interest bearing checking and special purpose savings. I define store of value accounts as those where depositors are looking for safety and ease of use/access more than rate. Such as having a real estate taxes savings account. Point 2: I am not sure deposit market share is the metric for branch success [as mentioned in the research report]. I believe it is branch deposit size, growth and spread delivered by those deposits. The challenge with the 3,000 square foot to a 1,500 square foot branch transformation is that larger branches tend to have more deposits. A former bank CEO, responding to my questioning one of his branch’s multi-million dollar expansion, said he got $40 million MORE in deposits when he did it. The math looks good in that context. Great actually. Over and over we see these tiny, cutesy, 1,000 square foot branches maxing out at $20 million in deposits. I say put in a big branch and get $60 million, which is the average branch size in our profitability outsourcing service. The deposits per square foot calculation works out marvelously. Perhaps lease part of the branch to a CPA or a small insurance agency or something that tends to serve the same customers you are targeting to recoup some of the build-out and real estate taxes that come with a larger branch. Point 3: You can “spoke” from the larger hub, as the research report suggests. And if your spoke maxes out at $15 million over a reasonable time, then close it and transfer those deposits to your hub. At an 80% retention rate, Charlie Sheen would call that #winning. Another strategy would be to measure the profitability of the hub/spoke region, rather than holding every individual branch accountable for spreads and profits. Although either is better than total deposit or number of accounts goals. Point 4: The median direct expense of a branch as a percent of deposits in our profitability database is 98 basis points. That’s 98 basis points that a branch bank can’t pay in interest to their depositors that Ally Bank can pay. Perhaps that’s overly simplistic as Ally has elevated digital expenses, low pull-through rates, and higher back office expenses because they have no branches. But let’s say that accounts for 20 basis points on the margin. Still a 78 basis point beta. 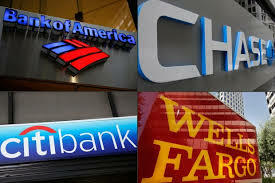 Banks have to figure out how to sell the advantage of their branch network, which by the way survey after survey says customers want, and figure out a way to lower the 98 basis points direct expense of branches or support center expenses. Preferably both in order to lower that 78 basis points. Because customers won’t accept that size of a haircut for the convenience of having a branch. But I believe they will accept some haircut. By the way, the 98 basis points direct expense is off of a $60 million average branch deposit size. That means it costs ~ $588k in direct operating expense to run a branch. If you go with a wee-little branch, perhaps you shave off $150k of that. If that branch maxes at $20 million, then your branch direct expense of the “branch of the future” is 2.17% of deposits, versus 98 basis points for the “branch of today”. Which is better? Thought you might enjoy our exchange.